The ICT department reports to the Deputy Executive Director in ED’s Office. 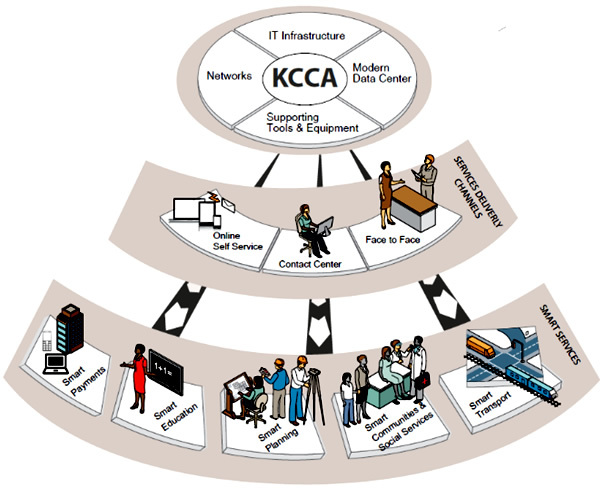 It is responsible for Planning the development, implementation, maintenance and support of all ICT solutions and infrastructure in KCCA. Smart Payment –­Deploying a modern centralized Web Enabled Management Information System, with the functionality of all revenue source registration, billing, Assessment rates, contracts management, revenue accounting and reporting, document management and payments and collection management. This is now implemented on the (https://ecitie.kcca.go.ug) with the capability of integrating with mobile payments such as Airtel money, MTN Mobile money, Point of Sale Terminals like Ezee money, Payway and online banking through all collection Banks. 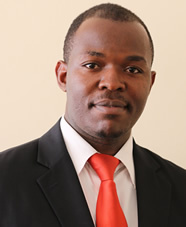 KCCA is now working on enhancing the system to integrate with the Computer Aided Mass Valuation using the Geographic Information System. Smart Planning – The “Smart Permit” project has commenced with the objective of delivering a more consistent yet standardized infrastructural planning and development of the metropolitan areas. This will be attained through the use of ICT and GIS enabled tools to cater for spatial related challenges in the city. Smart Education – This entails at achievement of educational experience in both business and peri-urban areas. E-education solutions (remote learning and collaboration) to have citizens better informed. Smart Transportation – More efficient and intelligent road infrastructural development and transportation systems; leveraging networks for efficient movement and monitoring of vehicles, people and goods to reduce congestion. The employment of technology based approach through the utilization of cable cars and lite rail as marginal to reduce cramming in the CBD and all access routes. Smart Communities and Social Services – Access to high-quality healthcare services (including e-health or remote healthcare monitoring), electronic health records management. Getting a new generation of citizens involved in the city issues and increasing employment base for youth. Using of innovative ICT challenges to identify city dares and devise a plan to enhance city sustainable development.